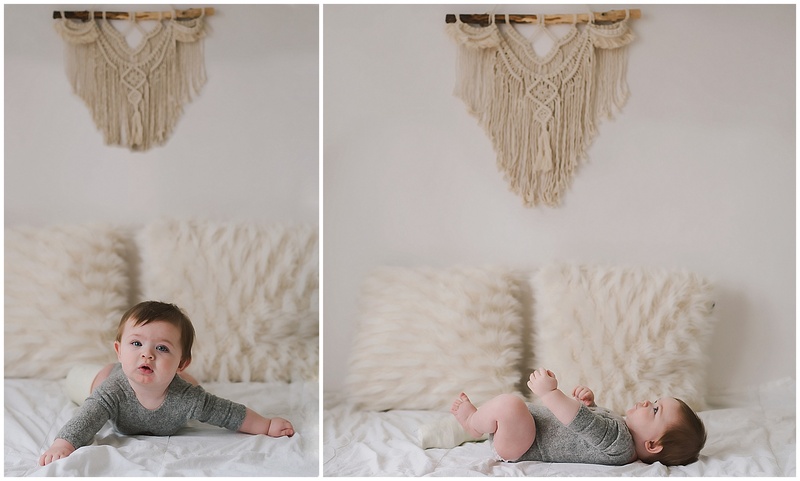 So you’ve had your baby’s newborn images captured and know that you want to schedule some baby and family images for a one year celebration, but don’t miss out on that magical sitting phase! With a little preparation and planning I can guarantee that these will be some of your most cherished images. At the sitting phase baby has gained a lot of chub and even more personality! I’ve come up with 3 tips that will drastically improve your milestone session and ensure that you end up with artwork that will be cherished forever. Schedule your session between naps. I always try to be very flexible with these sessions, as proper timing is everything. 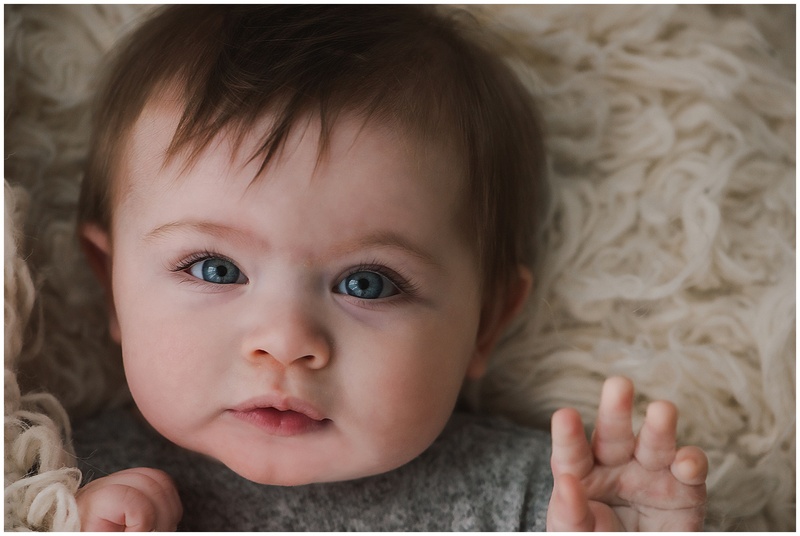 Baby will typically take a morning nap at this age and we want to make sure we time your session immediately after waking up from a nap. 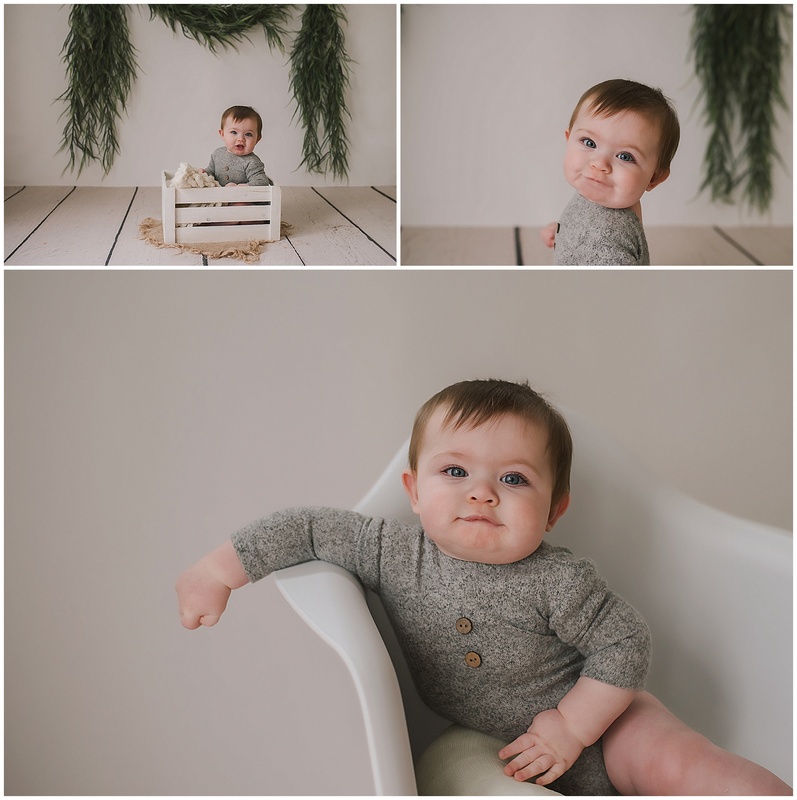 This allows us a good chunk of time for your session and baby is typically more tolerant of more outfit changes, meaning you get much more variety in your gallery! This is an important step in all photo session prep, but particularly here. I love, want and NEED to talk to my clients before a session beforehand to find out what they are looking for and what types of images they love. Without this information I am flying blind and only guessing at what you might like. Do you like light wood floors and bright airy look? 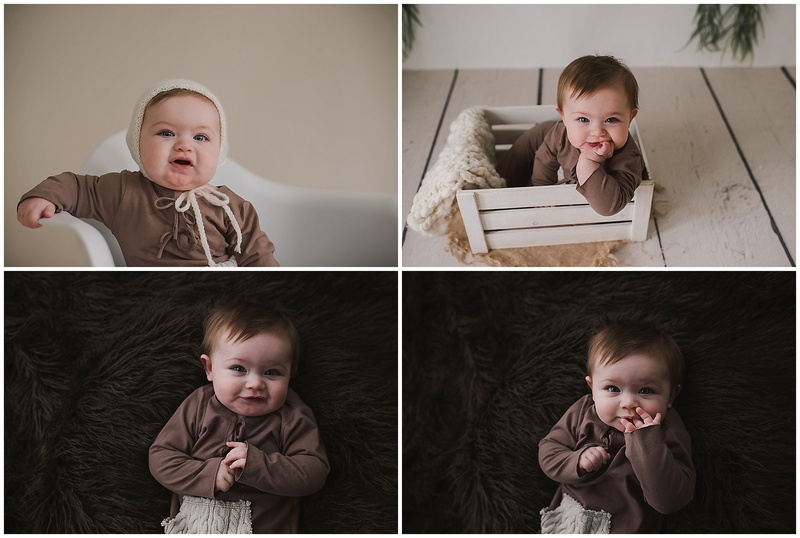 Would you prefer to keep your session more candid with mommy and me images and more dramatic lighting? Or do you want it all, with a mix of everything? Do you have particular color preferences or did you see a background on my facebook page that you want to use? 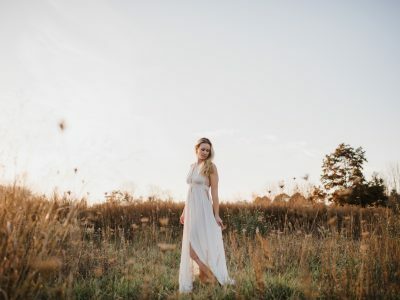 Tell me all of these things so I can personalize your session. Baby will only tolerate posing and outfit changes for about an hour so we must manage our time well. Picking out our outfits and setups ahead of time makes the process smoother. I always suggest that mom bring one special outfit and then pick two rompers from my collection. My studio pieces are handmade by artisan vendors, in super soft materials in neutral tones and always photograph beautifully. You can always check out my updated stock on pinterest. I get it. 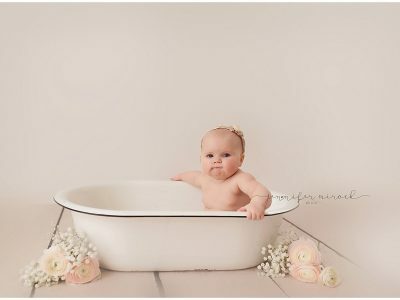 You want gorgeous images of your beautiful babies together, or you may not have done a sitter session with your other child and feel guilty. Don’t! There’s more than enough time for that during an outdoor family session. I can guarantee that your older sibling does NOT want to sit in my studio and pose with their baby. Let this be a quiet and relaxing time to record memories with your littlest and maybe grab a few of the two of you together. I promise you will look back and love that you have those images. And if you are just dying for that posed sibling image, feel free to have dad bring big brother/sister in at the end of the session for a quick snap of them together! I would love to work with you on creating a session for your little one! Contact Me to discuss your project! 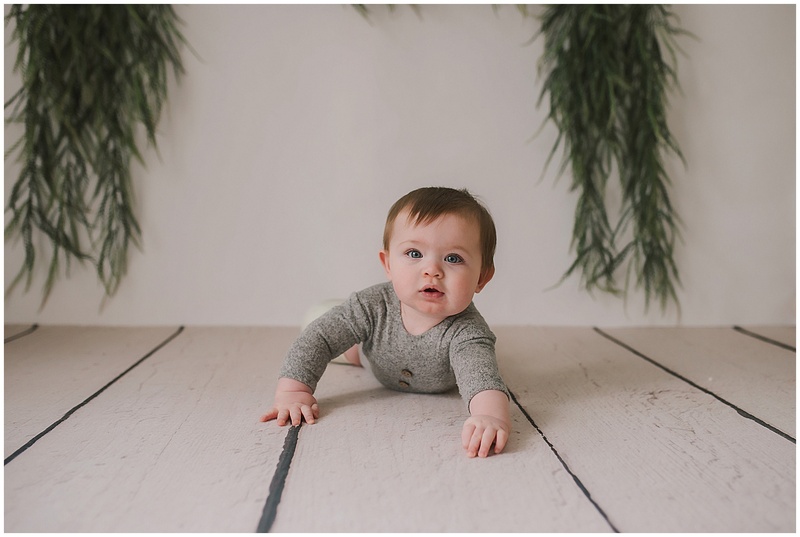 Did you know that I offer a Milestone Collection which includes a newborn, sitter and one year session for a discounted price? It’s my best selling Collection and a favorite of mine.